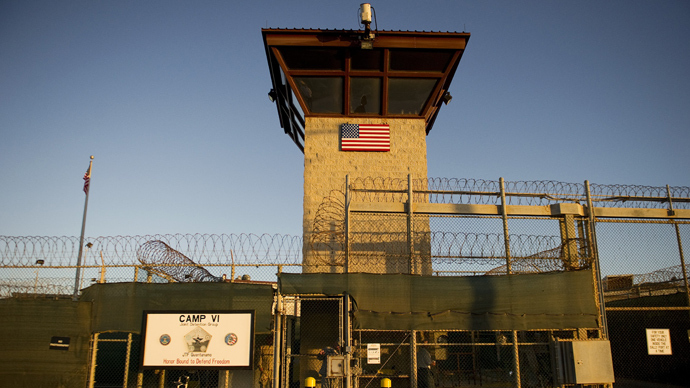 The US military has restricted access to wireless internet at the Guantanamo Bay detention camp due to hacking threats said to be part of a protest over conditions at the facility where detainees have been engaged in a hunger strike for over 100 days. A spokesman for the US prison on Cuba confirmed that authorities have also denied access to social networks such as Facebook and Twitter through military computers because of the hackers’ ‘Operation Guantanamo’. Army Lt. Col. Samuel House told the AP the decision to block online access was made because of threats to disrupt activities at the base allegedly made by the international group Anonymous. So far there have been no reports of disruptions. Last Friday, Anonymous kicked off a global on-line protest to mark the 100th day of the hunger strike by prisoners protesting their conditions and indefinite detention at the US base. 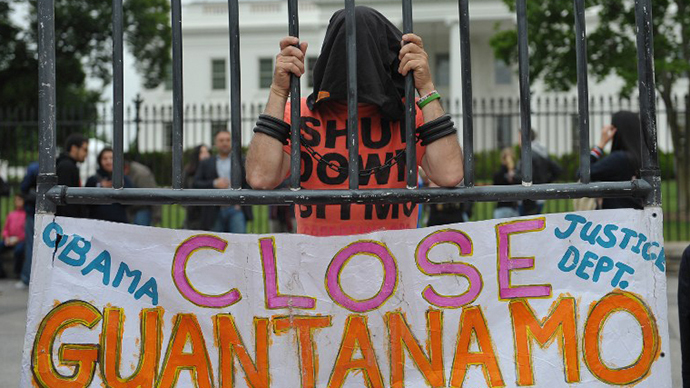 The three day campaign was intended to raise awareness of the human rights violations at Guantanamo, which include the indefinite detention of prisoners, many of whom have been cleared for release years ago. The series of “twitterstorms, email bombs and fax bombs” saw hashtags #OpGITMO and #GTMO skyrocket in popularity on Twitter, with thousands of Twitter users joining in every few seconds. 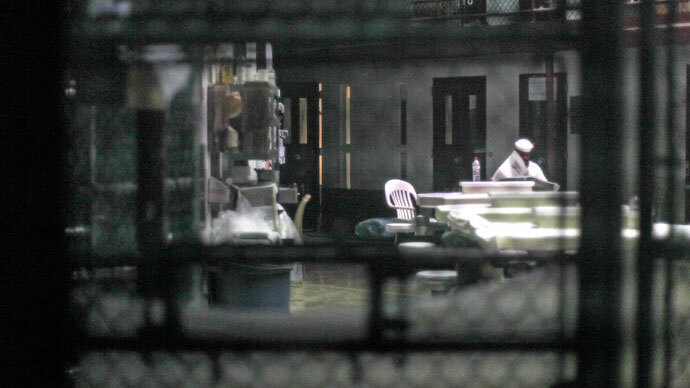 Activist groups demanding the closure of the Guantanamo Bay prison marked the 100th day of a hunger strike at the detention facility by last week submitting a petition to the White House that had some 370,000 signatures. 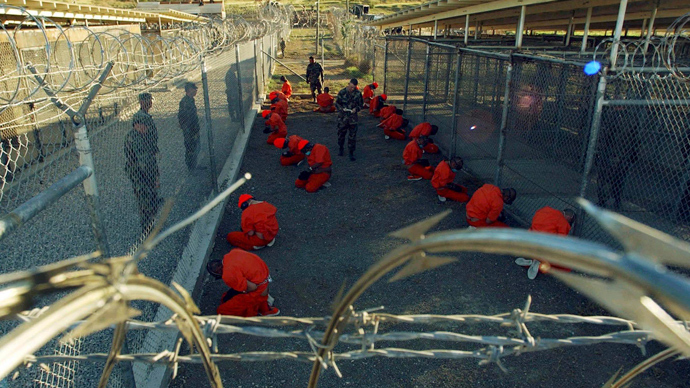 Richard Killmer, executive director of the National Religious Campaign Against Torture, said that “years of detention without charge or trial have created a sense of desperation and hopelessness among the men at Guantanamo, which has led over 100 of them to join a hunger strike,” AFP quoted him as saying. 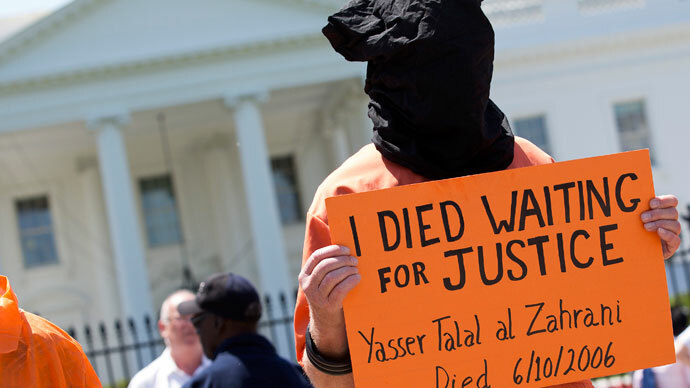 Clive Stafford Smith, a British attorney representing some of the detainees being held since 2002 at Guantanamo, also urged the Twitter community on behalf of one of his clients, Shakar Aamer, to take action against the notorious prison. The message has been retwitted over 280 times. As of Monday, the military said 103 of the 166 prisoners were participating in the hunger strike, which has continued for over 100 days. Some 30 of them are still being force fed – a practice condemned as ‘torture’ by the United Nations human rights office. At the same time, closed door military tribunals continue amid claims of secret monitoring of client conversations with lawyers, as well as censorship of some court testimony.